Moving to a new area was a regular occurence growing up. My Dad was in the Navy and we lived overseas and throughout the USA. After graduating from Embry-Riddle Aeronautical University, I joined the Marines and went to Naval Flight School in Pensacola FL. 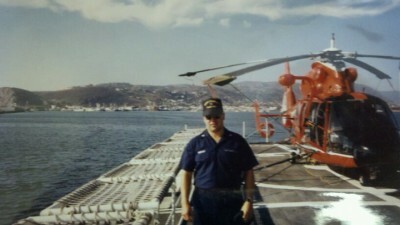 After 7 years in the Marines flying the UH-1N helicopter, I left and joined the Coast Guard as an Aviator. In the Coast Guard I flew Search and Rescue helicopters and also worked as a Rescue Coordination Controller and Aviation Liaison for the Atlantic Area Command. When I retired from the Coast Guard I joined my wife in “the family business” as a Realtor.We chose Northern Arizona as the ideal place for our family. Troy and Susan are the best realtors we have ever worked with. They listened to what we said, gave us up-front and honest answers and followed through on every detail. We had a great experience with them and recommend them without hesitation! 10/28/2016 - Patricia Smith MD Bought a Single Family home in 2016 for approximately $775K in Sedona, AZ. The team of Susan, Troy, and Rebecca make the real estate process so easy and smooth--Susan has an instinct that can't be taught, and she makes the entire process seamless. Moving to Sedona is the easiest and one of the most enjoyable things we've ever done--we are so grateful for the Deierling team's help and guidance. 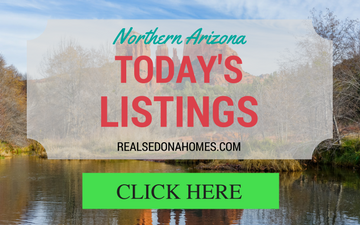 10/21/2016 - Judymartin68 Bought a Single Family home in 2016 for approximately $725K in Sedona, AZ. We are so impressed with Susan, Troy and Team Deierling! Their knowledge of the local market, their hard work in representing our interests, and their willingness to go above and beyond the call of duty were more than we could have imagined. We are very, very satisfied clients! 08/10/2016 - caronecobden Bought a home in 2011 in Indian Gardens, Sedona, AZ 86336. 08/08/2016 - lilcat4u2 Bought a Single Family home in 2016 for approximately $225K in Cottonwood, AZ. My wife and I were looking for a vacation home in Sedona and came across Susan and Troy on a realtor google search. We are sure glad we did because they have been the most caring professional people we have ever dealt with. They are very low pressure and very informative of what the area offers. They were also extremely helpful in scheduling and monitoring the contractors to complete the prepurchase inspection repairs and painting for us since we live in Minnesota. They started out as our realtors and through the process became our friends. 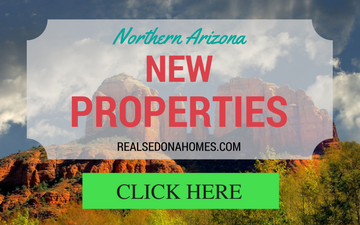 08/05/2016 - user8871946 Bought a Single Family home in 2016 for approximately $475K in Sedona, AZ. 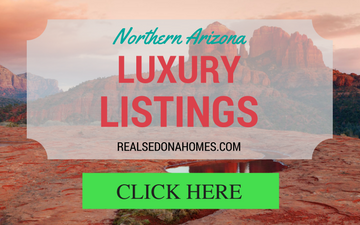 Susan and her husband Troy were incredible from start to finish in helping us research, select and purchase our Sedona home, which took over a year for us to find the one that met all our needs. Over the top helpful in every way and over and above the call of duty, considering we went through the whole process from the other side of the country! Susan and Troy were our eyes and ears, totally reliable and so sweet and friendly, guiding us and giving us the confidence at every step of the way – with enduring patience and fortitude. Simply put, they are the best in the area! 07/31/2016 - amiles108 Bought a Mobile / Manufactured home in 2016 for approximately $200K in Sedona, AZ. Susan spent so much time with us - unlike some others we had met in the realty field. She was determined to find what we wanted in a home, and really understood our needs. Buying a home is AZ was scary, since we are from New England, but Susan and Troy opened their home to us, and made us feel like family. 07/31/2016 - rnovick1 Bought a Single Family home in 2015 for approximately $600K in Cornville, AZ. Susan sold us our home when moved to Cottonwood from Indiana and she did a great job with that. Susan and Troy sold the home for us when I took a new job half way across the country. She was able to sell it quickly enough for us to buy a home at my new job location. We are very happy with what she's done for us as both a buyer and a seller. 02/02/2015 - wmohanley Sold a Single Family home in 2015 in Cottonwood, AZ. Susan and Troy did a great job of finding us our home in Cottonwood. We spent two days together and I feel I saw everything that was close to what I wanted in a home. They have the local knowledge to help us decide where in the Verde Valley we wanted to be. 01/31/2015 - johnwebber117 Bought a Single Family home in 2015 in Cottonwood, AZ. Troy and Susan are the BEST realtors in Sedona. We have purchased two homes and sold one home with their expert assistance. We would highly recommend them. Thank you. 06/01/2014 - mail144 Bought a Single Family home in 2013 in Sedona, AZ.